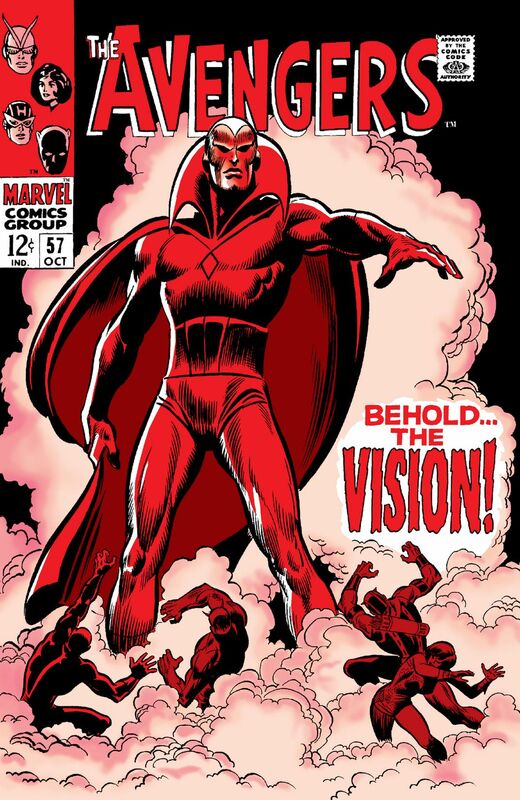 I first made the acquaintance of Marvel Comics’ X-Men in April, 1968 — one year prior to the publication of the subject of today’s post. — when they made a guest appearance in Avengers #53. That particular issue turned out to be the last chapter of a crossover story that had begun in the mutant team’s own book; and even though I now knew how everything would turn out, I was still curious enough about the characters and situations to go back and pick up the preceding chapter in that same month’s issue of X-Men (and even to buy the issue before that, when the opportunity presented itself). But though I enjoyed those two comics well enough, I wasn’t taken enough with either of them to keep following the series. As I wrote in my X-Men #45 post last year, that may have been partly due to the somewhat atypical circumstances surrounding the book at the time I sampled it. 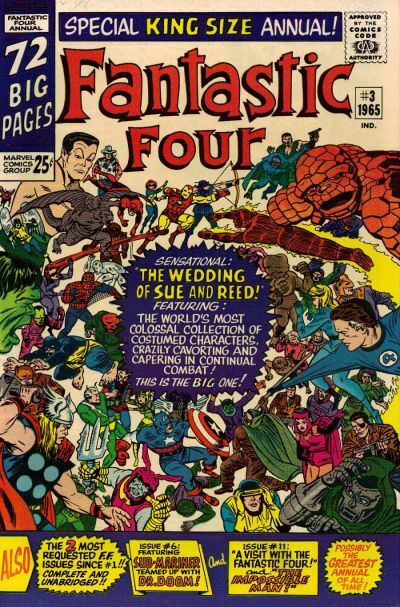 Marvel had then just recently decided to start downplaying the team concept in the series’ cover designs, in favor of spotlighting the individual members (or, in a few cases, major story events); a decision that was soon mirrored in the stories themselves, as the team actually broke up in the issue immediately following the Avengers crossover, #46. 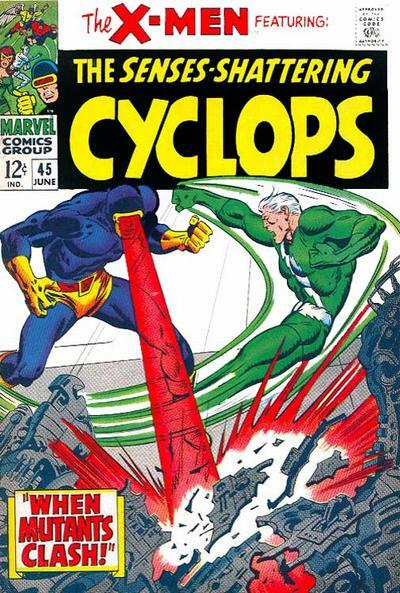 In addition, I was almost certainly influenced in my decision to pass on X-Men (at least for the time being), by my lack of enthusiasm for the competent but underwhelming art that then filled the title’s pages, by the likes of Don Heck and Werner Roth. As I’ve related in previous posts, I was a little slow in warming up to Doctor Strange. 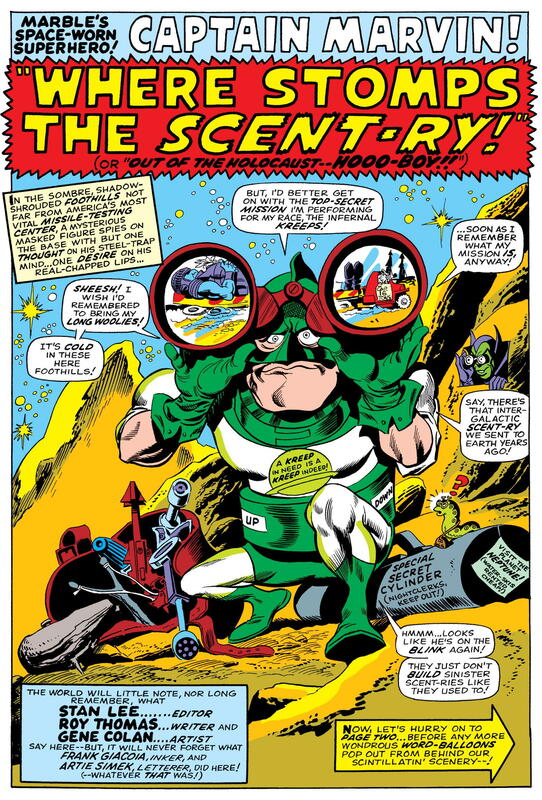 Marvel Comics finally got me in late 1968, however, through the double-barrelled approach of first giving him a visual makeover, and then guest-starring him in The Avengers. Those moves caught my interest — which, according to what Roy Thomas (a Marvel associate editor at the time, not to mention the writer of both Doctor Strange and Avengers) would state decades later in his introduction to Marvel Masterworks – Doctor Strange, Vol. 3, was precisely what the publisher had hoped they’d do. 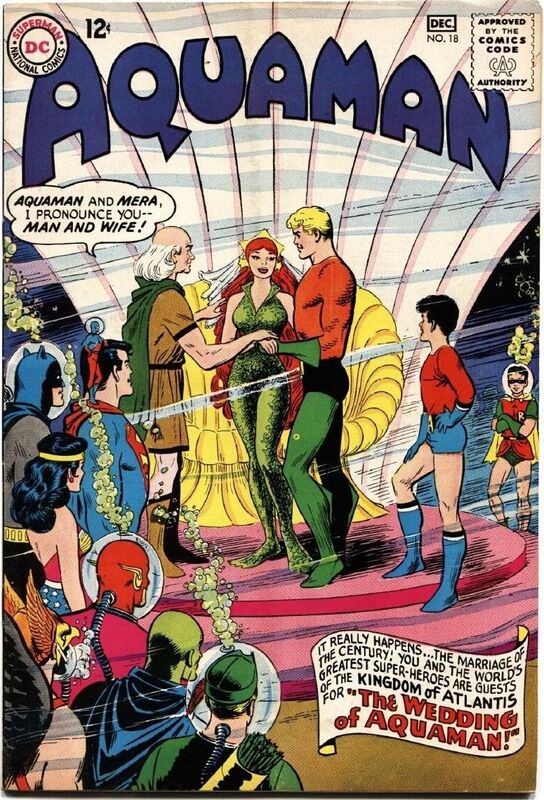 Regular readers of this blog will have heard me say this before, but it bears repeating — sometimes, I just have no idea why my younger self chose to buy a particular comic book fifty years ago. That’s certainly the case with the subject of today’s post. 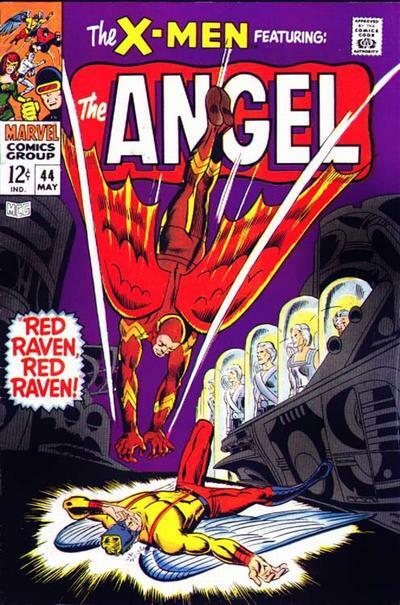 After passing Captain Marvel by on the stands for almost a year, in January, 1969 I decided to gamble twelve cents on the series’ twelfth issue. How come? 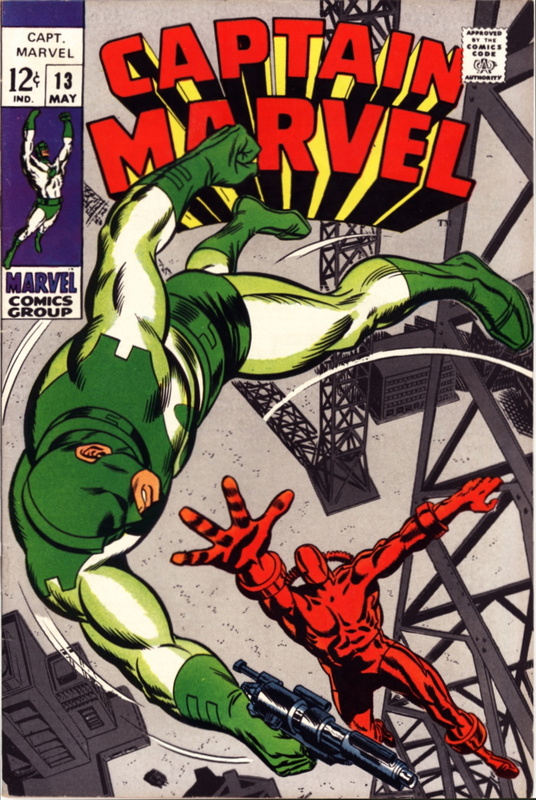 Was it the cover, by John Romita and Sal Buscema (or maybe George Tuska and Buscema — the usual reference sources differ)? I suppose it could be. It’s not a particularly distinguished composition (at least, not to my present-day, 61-year-old eyes), but it’s not what I’d call bad — and those bright, contrasting colors really do pop. So, maybe.